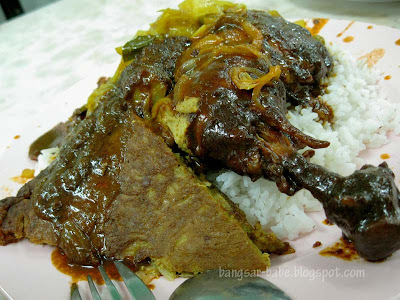 At the mention of Nasi Kandar in KL, a lot of people I know would say they like Nasi Kandar Pelita. I don’t blame them. 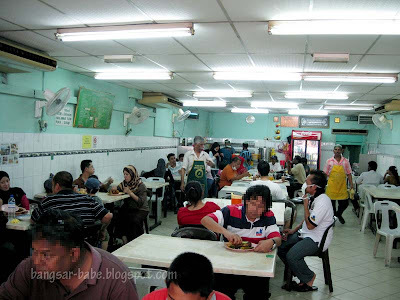 It is after all the largest nasi kandar chain in Malaysia. 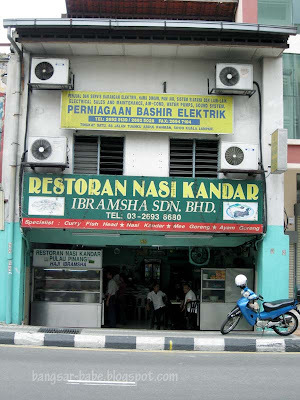 The food is decent, but I prefer getting my nasi kandar fix from Nasi Kandar Ibramsha at Jalan TAR. It’s best to get there before 12noon or after 2pm. That is when the place is less crowded and the queue is shorter. I piled my rice with my favourite ayam madu (honey chicken), telur dadar (malay-style omelette) and vegetables (RM7). “Apa kuah mau (what curry would you like)?” the person in charge asked. “Banjir semua kuah, boss! (Overflow my rice with all the curries, boss! )” I replied. See, the mix of different curries makes the whole experience satisfying, as each curry has its own special taste. Don’t be taken aback by the plate filled with meat, vegetables and overflowing with curries. The messier the plate, the better. All the curries had a good balance of spices, and the combination of curries and rice really hit the spot. The chicken was tender and falling off the bone, with a spicy and caramelised honey flavour. 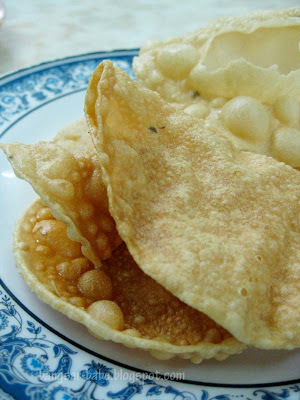 I liked the telur dadar too. Thick, fluffy and full of onions, it was absolutely delicious with the curried rice. The cabbage added a nice crunch and a natural sweetness to the rice. I ate my rice with a cup of teh ais (it was way too hot to have teh tarik), and left the place happy and satisfied. I’m not saying this is better than the nasi kandar in Penang, but it is still a pretty good nasi kandar. 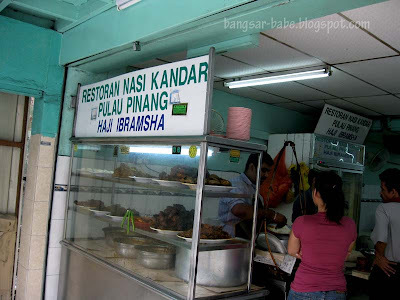 Since I can’t drive up to Penang just for lunch, this is my favourite place to go to for Nasi Kandar in KL. Verdict: Pretty good nasi kandar. 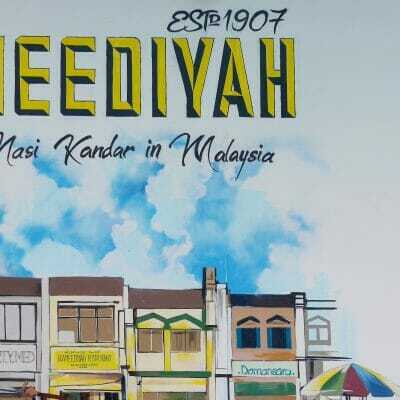 A good alternative for homesick Penangites. ive tried some other places, yet this palce is still my fav! ooh, i've often driven past this place after work, but never tried it yet (errmm dunno where to park). My order is pretty std too! one chic, sayur kobis n 1 telur! pulltea – Thanks for the tip! ai wei – Me too, me too. Hi there, great food blog you have. 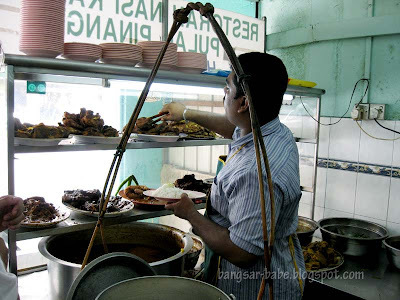 I highly recommend you try the famous (in Nilai anyway) Nasi Kandar Lawood which if you mention the name to any current student studying in Nilai, they will drool.